When I think of jazz music, I think of the colour blue. Probably because the cultural reference that comes to mind is Donald Miller’s book Blue Like Jazz which I quoted from in this post. But jazz is also blue in the way that one can feel blue: melancholy, sad, or depressed. A lot of jazz music has this melancholy sound. And then other jazz music has a funky, upbeat sound. And jazz is also blue in the way that it comes and goes “into the blue”—into the unknown. This is the improvisational and syncopated quality of jazz. The notes move in and out of time; you never really know when they’re going to appear, disappear, and in what variation. Listening to jazz is a lesson in unpredictability. 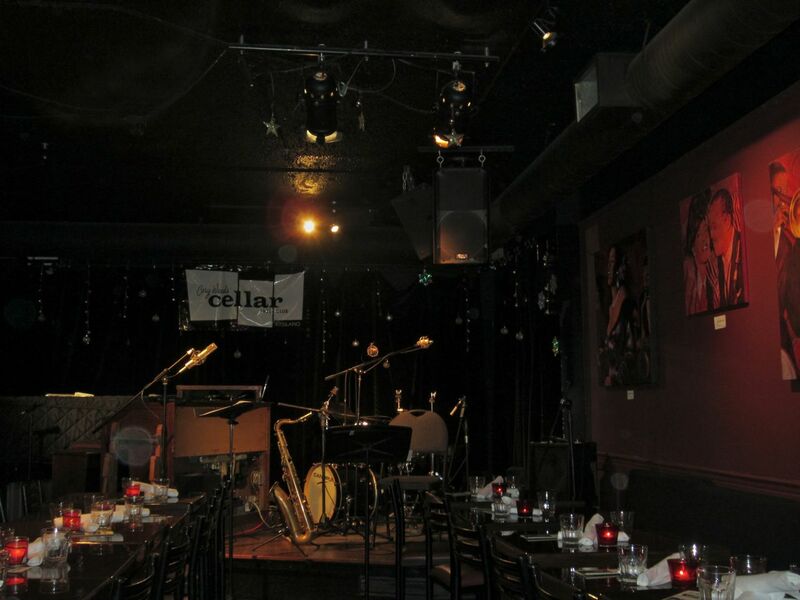 Interestingly enough, The Cellar Jazz Club is the same place I spent all of August long weekend in as an extra for a friend’s movie. 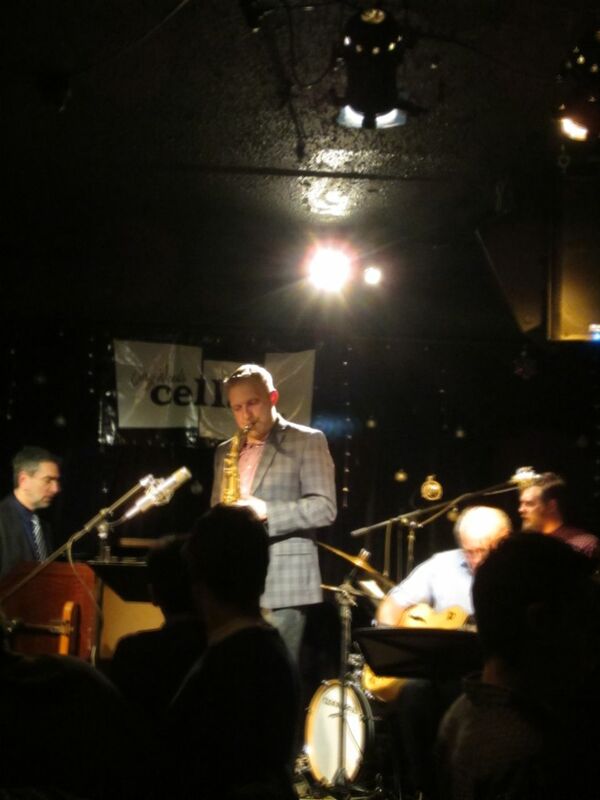 It was great to be in that space again, enjoying it as it is meant to be enjoyed—as Vancouver’s only full-time jazz club that has been on Downbeat Magazine’s list of the world’s greatest jazz clubs for six years. You can read the Globe and Mail article about the Club’s unfortunate closure here after 13 years in its Kitsilano location on West Broadway. 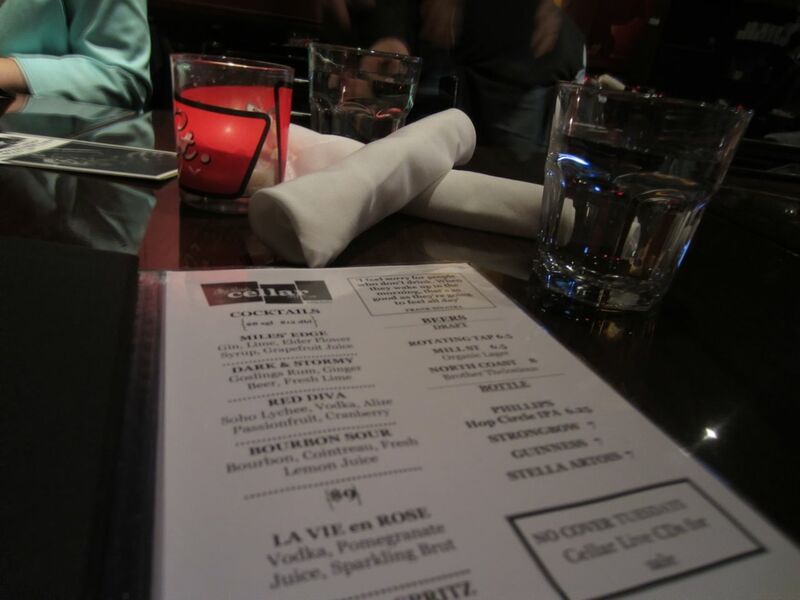 The Cellar Jazz Club is literally in a cellar—you walk down a flight of steps from the street front and enter a dark, intimate space with red walls and a speakeasy feel. 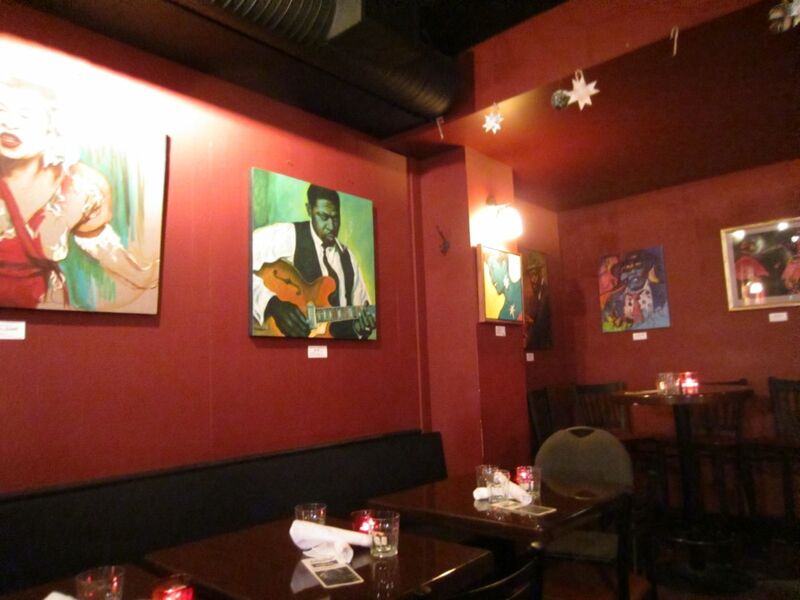 Vibrant, eye-stopping paintings of famous jazz musicians hang from the walls. Candles light the dark wood tables. We dined and then we swayed and/or bopped to the slow and fast songs. Four musicians graced the stage: one playing drums, another playing electric guitar, the third playing a Hammond B2 organ (my favourite); and the fourth, Cory Weeds himself, playing the saxophone. The food is decent but nothing to write home about. But you don’t go there for the food. You go there for the live music, and it is well worth it. In his opening remarks before the two sets (at 8 and 9:30), Cory Weeds requested that conversation be kept to a minimum so people around you can enjoy the music and, quite frankly, I didn’t even have a desire to talk because the music is that arresting. It fills the room. My eyes darted back and forth to the different musicians when they were soloing, trying to figure out when they knew to move in and out of the piece at the right time. My birthday friend taught me about “comping“—what the other musicians do when their bandmate is freestyling—all those repeated chords, rhythms, and countermelodies that provide structure to the riffs of the soloist. It’s a fine dance between presence and absence, busy and sparse, supporting without stealing. I feel like jazz music is replete with metaphors for life, especially in the arena of relationships. I came away from that January night with a much deeper appreciation for jazz music, just as I came away from the Cellar Jazz Club in August with a much deeper appreciation for filmmaking. One location, two great new experiences. 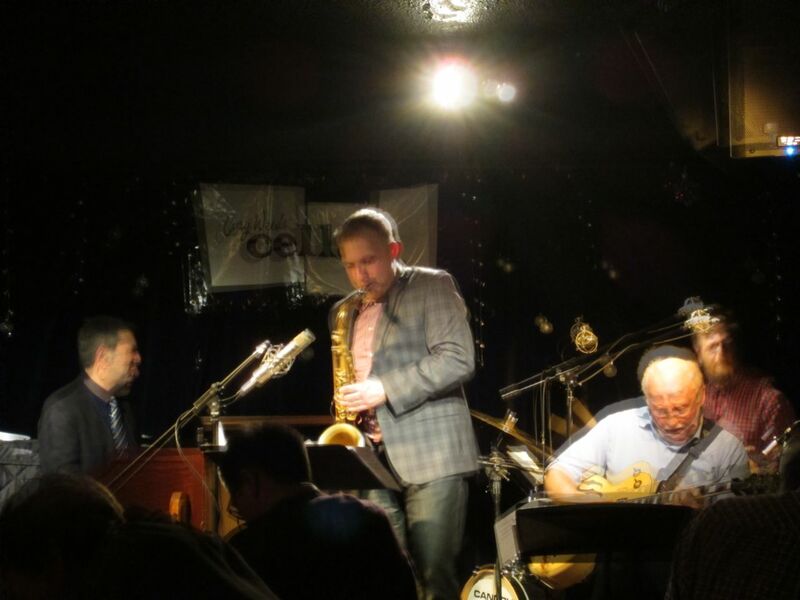 This entry was posted in Vancouver and tagged Cory Weeds' Cellar Jazz Club, improvisation, Jazz, music, Vancouver jazz by Charlene Kwiatkowski. Bookmark the permalink.